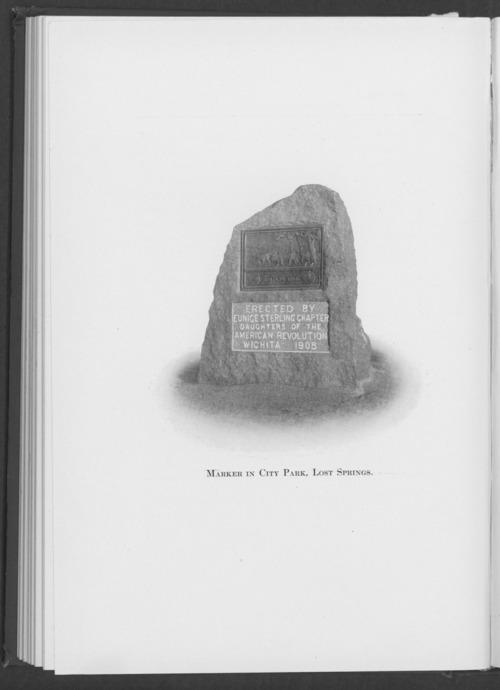 This photograph from the book, " Marking the Santa Fe Trail", shows the granite marker in Lost Springs, Kansas. The red granite stone with its special bronze table design was placed in the city park at a cost of $112.00. The Eunice Sterling chapter of the Daughters of the American Revolution, from Wichita, Kansas, erected the monument to honor the pioneers and soldiers who lost their lives along the trail.